As parents these days, we raise our children in a world of specialists who seek to give direction to children’s lives. More specifically, they give – or try to give – direction to parents about their children. Pediatricians, teachers, guidance counselors and other experts increasingly have a role in decision making about children who to some extent are in their care. As a result, it is difficult for a parent who values her role to have her voice heard in her child’s development. Having a voice means trusting one’s own judgment about what is best for one’s child. It may mean disregarding the advice of experts and at times fighting one’s way into institutional decision making in an effort to make it responsive to the needs of one’s own child. It also may mean tolerating one’s internal anxiety and the hostility of others that can arise when insisting on having a voice. It is not easy to trust one’s own perceptions when they are contradicted by those who are considered experts. At the same time, those who believe they are the authority often attach too little importance to the parent’s point of view. 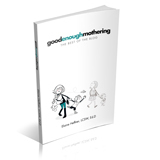 The parent’s viewpoint is considered an obstacle to overcome or ignore, and if a mother – in particular – persists she may be labeled a “difficult” mother. Unfortunately, it is the mother who is more often in that role than a father. It is not only children who are too readily labeled, parents are as well. A common example can be found in early childhood settings when children first begin to separate from their parents. Teachers may too readily label a parent “difficult” or a “problem” if she disagrees when told the child is ready for her to leave. Appropriate developmental reactions to a parent’s departure are too often attributed to a problem on the part of the parent. Once children are in institutional settings like schools, judgments are made about them that then effect the nature of their development. Such judgments are based on perceptions and observations which are often a matter of opinion and interpretation. If a child differs from the group in his social, emotional or intellectual development this does not necessarily mean there is something wrong with him. It simply means there is a question to be answered about some aspect of his behavior. The question may be answered differently by different observers, yet the perception of parents who know their children best, are too often ignored or disregarded. Decisions are made about children based on the judgments made, and too often such decisions are guided by institutional systems rather than by the needs of the child. A good example is a child who may need remedial help in one particular area. In many situations the help will be offered only if the child falls within a given statistical range of outcome on tests. In other words, the level of need has to rise to a designated level in order to be given needed attention. It is like waiting for complications to arise from a broken arm rather than setting a fresh break. No matter how similar or different a child is from others in her group, her similarities and differences are uniquely her own. The significance they hold and the course of action to be followed have more to do with a knowledge of her own personality and individuality than with a general knowledge of a larger group of which she is a part. It is the parent who can contribute such understanding. Having a voice requires that a parent persist in using that voice to contribute a deeper understanding of who a child is, and in fighting through the tyranny of numbers in the interest of the individual – one’s own child. Previous Previous post: Changed Parenting?